After seeing Collection 2000 Lasting Perfection Concealer raved about in many a blog post and then my friend saying how good it was, I thought I must try this! Collection 2000 Lasting Perfection Concealer retails at £4.19 and is available in four shades; Fair, Light, Medium and Deep. I am uber pale and after swatching found that Fair best suited my skin tone. "The ultimate wear concealer promises to conceal flaws, imperfections and blemishes again, for up to 16 hours. This skin perfecting, oil free product is also transfer proof and water resistant for full and long lasting coverage. It provides beautiful, blemish-free skin for every waking hour." I am so, so impressed with this concealer! The formula is quite thick but still creamy, which means a little goes a very long way and so this tube will last absolutely ages. The coverage is also fantastic - it is amazing on dark circles (comparison pics below) and imperfections. I've used it quite sparingly on my face as it contains talc, which can clog pores, but so far it hasn't caused me to break out and hasn't made existing spots any worse. I usually use my Witch Anti-Blemish Liquid Concealer on spots anyway. I wouldn't say it lasts 16 hours, but it does last very well through an 8 hour working day and doesn't go cakey. The negatives of this product for me are that the writing on the tube wears off really quickly (as you can see from the earlier photo), and that with the stick applicator you don't always get the same amount of product on the stick each time you use it. There are also only four shades to choose from, though this is actually better than some concealers out there! I absolutely LOVE it! I would even go as far as saying I prefer it to my Clinique Airbrush Concealer. It is now a staple in my makeup bag, I couldn't be without it! 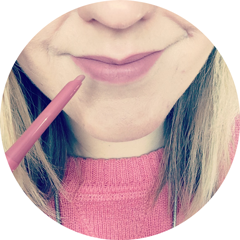 I recently included this in My Current Top 5 Makeup Products Under £5.00 post. I would recommend spending some of your pounds and pennies to give this a try. Although the shade range isn't great, hopefully there's one to suit you. To view this product on the Boots website, click here. Have you tried Collection 2000 Lasting Perfection Concealer? What's your current favourite concealer? I adore this product, its so creamy and blends so perfectly under eyes. Like you I want to get the fair shade for my eye area just to make that area look brighter and more awake. Good review! Looks perfect for your skin tone.